Nick Graham, senior retail consultant at Capgemini, explains how the parcel and retail industries can provide a superior delivery experience without affecting profitability. 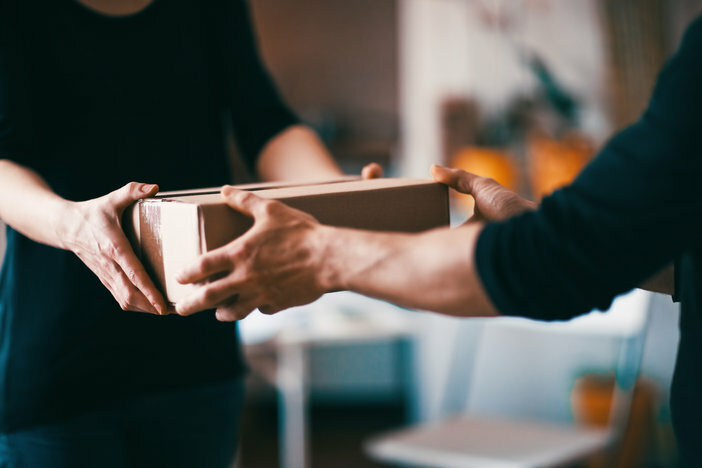 With the rise of e-commerce and rapidly maturing omnichannel fulfilment, defined by increasing customer preference as to what ‘good’ looks like, getting the final mile right has never been more significant for retailers and parcel carriers. But when ‘getting it right’ can be expensive and ‘giving the customer what they want’ is hard to achieve operationally, what can be done? A recent Capgemini report, The Last Mile Delivery Challenge, described how last-mile delivery accounts for around 41% of overall supply chain costs – more than double any other area of spend. With customers unwilling to pay high delivery costs, retailers are typically absorbing these costs and reducing margins. However, a good delivery experience will frequently mean more loyal customers, with respondents saying they would spend on average 19% more on monthly purchases across 10 categories if they were satisfied with their delivery services. This shows that if done correctly, there is a huge opportunity for growth in online shopping if retailers and parcel carrier can find the right balance between speed and convenience for customers and innovating in the back-end to ensure profitability. But what innovations should retailers and parcel carriers be looking to invest in to improve their profit margins? In the face of growing consumer expectation, retailers and parcel carriers will have to ensure their operation is both scalable and fit to react to rapidly changing customer preferences. Collaboration both vertically and horizontally is a key consideration; working closely with other parts of the supply chain and with similar businesses or competitors. For the carriers, this may mean working with other fulfilment businesses to enhance their delivery capabilities without significant capital investment. For example, the increased popularity of the gig economy with dynamic technology solutions and a flexible workforce may offer an opportunity to reduce cost in urban areas, offer additional flexibility during peak times and respond to rapid customer demand. This type of collaboration could also help support a rolling order cut-off for retailers in enabling same-day delivery capabilities. This would be done on a dynamic basis using the gig economy model to fulfil local depot deliveries in selected postcodes while maintaining some volume in sort capacity throughout the day. In turn, this would take the pressure off the parcel carrier’s resourcing model, improve choice for the customer and add capacity to these gig economy models where demand is often inconsistent. In using alternative networks, parcel carriers can also take advantage of enhanced technological platforms for customers without having to make significant investment themselves. Manual resources can be a costly expenditure for retailers. Investing in automation for operational activities could help to not only reduce costs in the long-term but also speed up warehousing operations and sortation centers. Automation providers such as Knapp and Vanderlande can significantly cut down on the time it takes to pick, pack and ship orders, giving added flexibility in the last-mile operation in extending cut-off times. At the parcel carrier, automation is relatively mature at a hub/sorting center level, but not so much in high volume urban local depots where the opportunity could be significant. In the longer term, autonomous vehicles in selected areas will reduce the high costs associated with current logistics resourcing models. This could mean automating part of a physical store estate to reduce stem distances (for both in-house and outsourced delivery models) and increased drop density in fulfilling customer orders and driving in-store stock movements. For retailers with a large store footprint, this could mean enhancing the back-room capabilities of a store using robotics to pick goods or extending the space available in these areas as consumers shift from in-store shopping to direct delivery models. This allows customers to choose from more fulfilment options and also offers businesses the capability to have live, wide-ranging inventory availability past full-range distribution centers. For retailers with a smaller store footprint, outsourcing fulfilment is perhaps the best way to achieve critical mass in streamlining operations to focus on customer-specific needs as opposed to wider trends. Outside of the innovation space, parcel carriers and retailers must look at ways to reduce complexity. Continuing a push toward the click-and-collect trend will allow retailers to realize benefits in upselling to customers in-store, while giving parcel carriers and in-house delivery fleets the opportunity to increase drop density. Fitting in with a wider theme of centralized delivery points (including PUDO, delivery lockers, and third party click-and-collect models) allows the customer to have the added convenience of not having to be home for their delivery, but also reduces the cost on final-mile delivery operations and reduces the frequency of errors seen on multidrop delivery routes. Nick Graham is a logistics and supply chain retail professional with over six years’ experience across a number of organizations, including Hello Fresh. Nick has worked both in industry and for service providers and is now part of the Capgemini Digital Fulfilment Operations team.